Kolar Gold Fields - NOSTALGIA: Book on KGF - Kolar Gold Fields Down Memory Lane - Paeans to lost Glory!!! 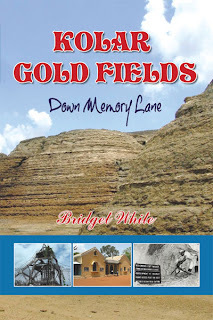 Book on KGF - Kolar Gold Fields Down Memory Lane - Paeans to lost Glory!! !